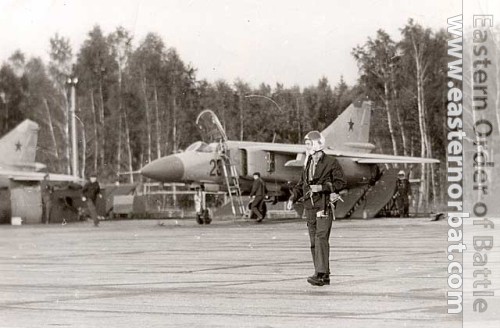 Early MiG-23ML Flogger-G at Shchuchin. 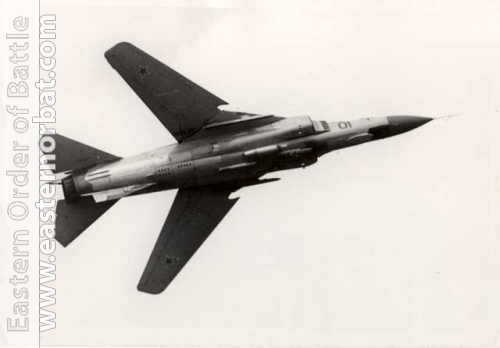 The lighter and more maneuverable MiG-23ML Flogger-G's (Izdeliya 23-12) first prototype took off in January 1975. 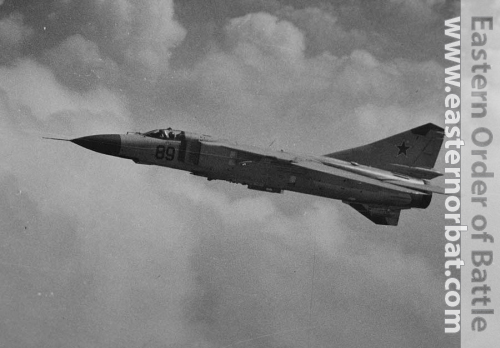 The new S-23ML (included Sapfir-23ML izd. 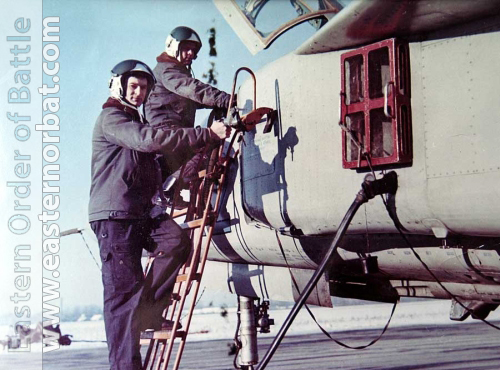 234ML radar and TP-23ML IRST) equipped with fire control system MiG-23ML version was manufactured from 1976 to 1978. 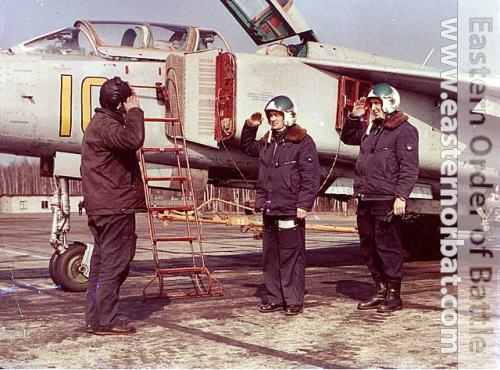 The 979th Fighter Air Regiment in 1977 received the MiG-23ML Flogger-G produced from a limited number of copies. 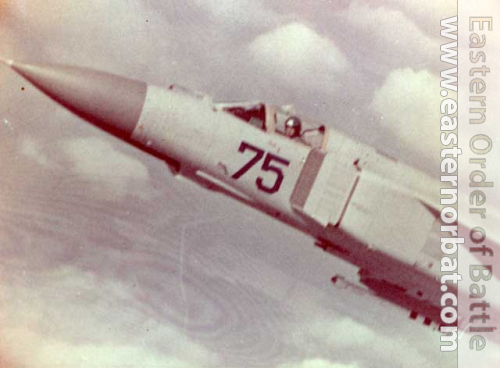 The new fighter replaced the early MiG-23S Flogger-A type. 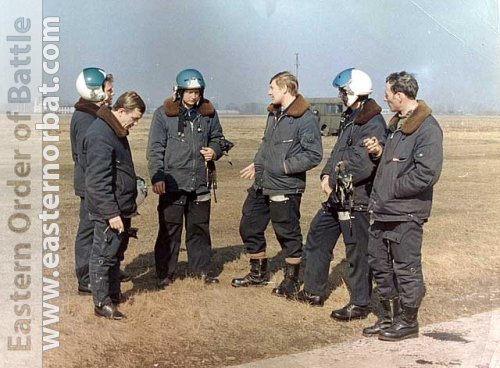 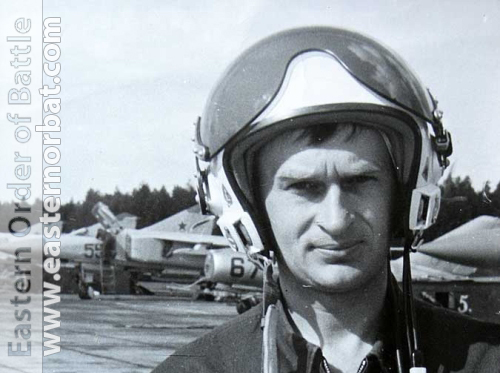 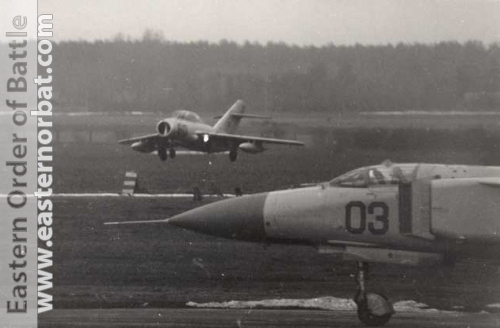 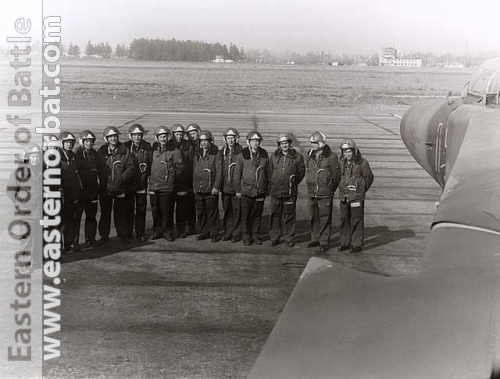 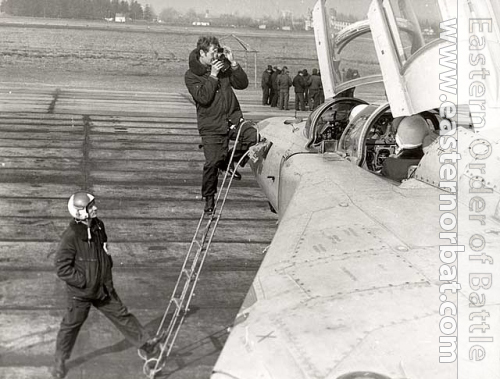 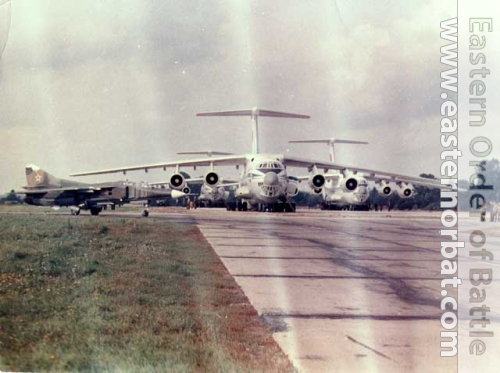 Besides the light-gray color scheme MiG-23ML Flogger-G, grey and camouflage MiG-23UB Flogger-C and silver MiG-15UTI Midget were used at the end of the 70’s.